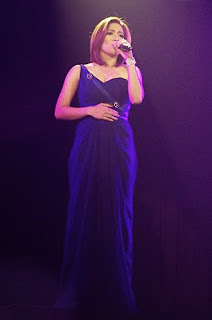 Angeline Quinto - Multi-Platinum Artist! Wow! Angeline Quinto is indeed going places! I'm truly so happy for her since she was my bet for the Star Power contest. I'm just glad she won! Now the female pop superstar seems to be singing the theme song of almost every telenovela on tv. I remember tweeting her during her early days of winning and I loved it that she even took time to tweet me back! ^_^ Now, she's going to star in her own movie with Coco Martin, who seems to be the fave these days. My mom's excited to watch "Born To Love You" which will open in theaters on May 30th. Awesome! Coco Martin's one really good actor and is Angeline's crush. How nice indeed! I wish the movie will be a huge success! Congrats to Angeline Quinto who was also given a multi-platinum award on ASAP 2012 today!